Previously known as "Esion XLi" it was renamed into Protracker. 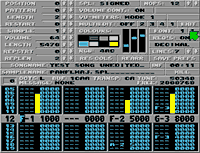 It is a 4 channel .mod composer, very much alike Protracker on the Amiga. 50 kHz multiplex replay on 8 MHz STe. Different versions for ST, STe and TT.